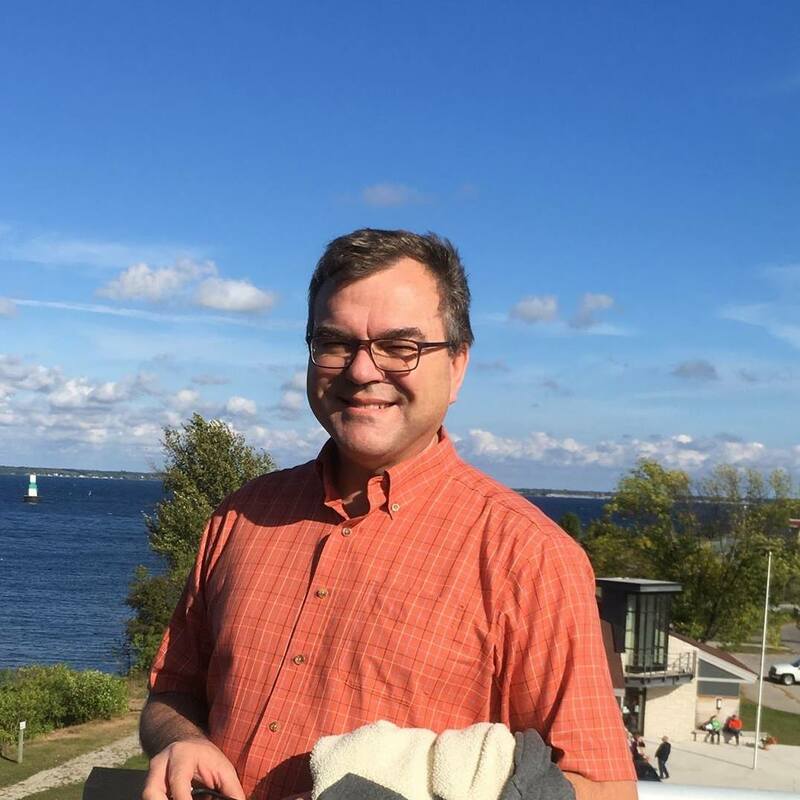 LANSING — Michigan taxpayers are paying a pair of experts hundreds of dollars per hour to peer over the shoulders of researchers for a Canadian energy giant studying the future of Line 5, the aging oil pipeline beneath the Straits of Mackinac. 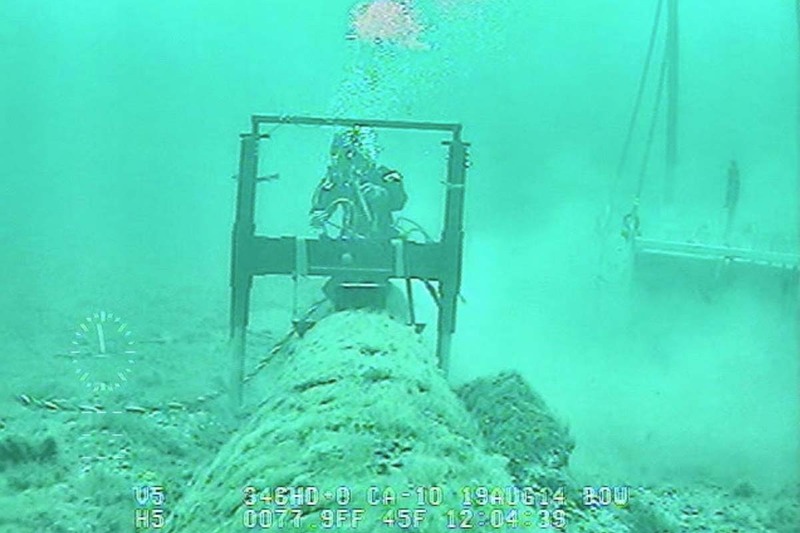 The Michigan Agency for Energy last month said it hired two specialists to monitor Enbridge Energy Partners, operator of the 645-mile pipeline that environmentalists consider a threat to the Great Lakes, as the company fulfills its end of a legal agreement with the state. That deal includes studying the idea of constructing a tunnel around the pipeline. Michael Mooney, director of the Colorado School of Mines’ Center for Underground Construction and Tunneling, and Daniel Cooper, president of Grand Rapids-based HT Engineering, “will monitor Enbridge’s actions, review and verify the company’s data, and participate fully in each of the evaluations required under the agreement,” the agency said. 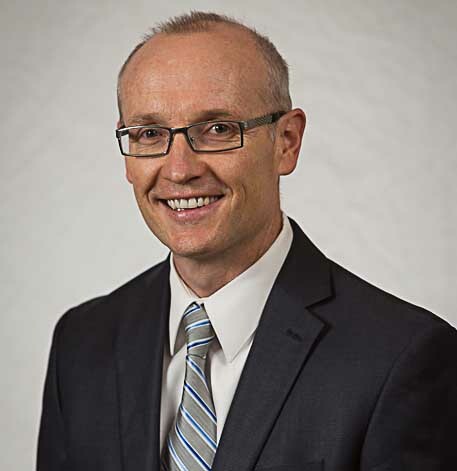 Michael Mooney is director of the Colorado School of Mines’ Center for Underground Construction and Tunneling. Working part-time over six months, the men will make $255 per hour and $150 per hour, respectively, Nick Assendelft, an agency spokesman, told Bridge Magazine. Those wages reveal at least part of the price tag of bolstering public trust in the state’s handling of the years-long Line 5 saga after Enbridge’s admitted transparency lapses. How much will they make in total? It’s unclear. But in six months, the tab would reach $157,950 if each worked 15 hours per week, while it would climb to $210,600 if they worked 20 hours per week. Related: What now after Michigan, Enbridge agree to deal on Line 5? Enbridge has been scolded for withholding information from Michigan officials about Line 5’s condition. The company, for instance, waited until last August to reveal that it discovered damage to protective coating along some of the pipeline back in 2014. Enbridge has acknowledged the trust issues. James Clift, policy director at the Michigan Environmental Council, called it rare for the state to hire its own experts to watchdog a private company’s study. In fact, Snyder’s handling of Line 5 has little precedent, Clift said. Line 5 stretches from Superior, Wisc. to Sarnia, Ont. and carries up to 23 million gallons of oil and natural gas liquids per day. It’s 30 inches in diameter except beneath the Straits of Mackinac, where it splits into two 20-inch lines. Daniel Cooper is president of Grand Rapids-based HT Engineering. Concerned about the risks to the Great Lakes should the pipeline rupture, environmentalists and other critics have called for a shutdown. In November, Snyder announced an agreement that, among other provisions, requires Enbridge to replace a pipeline piece beneath the St. Clair River and construct a tunnel around it. The deal also requires Enbridge to conduct studies about replacing the pipeline, building a tunnel to protect the section at the Straits of Mackinac and improving underwater monitoring. Snyder’s team negotiated the agreement behind closed doors, bypassing the 15-member advisory board he assembled in 2015 to publicly consider the pipeline’s future. Several members of the Michigan Pipeline Safety Advisory Board have expressed displeasure with the move. In a 5-1 vote last month, the board approved a resolution calling for Line 5 to be shut down until it can be fully inspected in the Straits and its “bare steel and coating issues are fully repaired” to meet terms of the company’s 1953 state easement. (Seven board members at the meeting abstained from voting.). Critics also said the agreement showed too much trust in Enbridge. In hiring Mooney and Cooper, Snyder’s office sought to limit such concerns. Both are experts in their field, have never worked for Enbridge and agreed not to contract with the company while working for the state, the Agency for Energy said in its hiring announcement. Both Mooney and Cooper declined to comment for this story, referring questions to the energy agency. Enbridge’s findings are due June 30, and they “will be independently reviewed and verified at every stage by Cooper and Mooney,” the energy agency said. Under the agreement, the state says it will decide on any further Line 5 actions by Aug. 15. Mr. Clift's statement that it is rare for a state to hire its own experts is misleading. The US Dept of Justice, USEPA, and many states are and have been for years using outside experts to review industry actions. More specifically, these gov't agencies have also been requiring companies resolving safety and environmental compliance violations to hire "independent" experts that the companies cannot fire without Gov't approval to (1) review and monitor companies compliance with Consent Decrees and Administrative Orders reporting back to the agencies and (2) complete independent studies and assessments of the companies operations, management systems etc. for process safety and compliance. The most visible examples of this may be the US Consent Decrees with Transocean and BP related to the Deepwater Horizon explosion and Macondo well oil spill. As the Independent Consent Decree Compliance Auditor approved by the US DOJ under the Transocean Consent Decree I can state with extensive experience that using independent experts adds tremendous value to the regulatory agency oversight. Given Enbridge's 'toxic' record of spills and broken promises why WOULD ANYONE trust one thing they ever say? Canada doesn't. Perhaps the Bridge can research how much insurance Enbridge carries on pipeline accidents. When I asked Wolverine Pipeline that question they refused to respond at all. If they have any I'll bet it's $1 million which would cover less than 1% of the real costs of a spill. And, oh yes, Wolverine is an LLC so they are structured to bail easily if something expensive happens. The old 'privatize profits, socialize costs' way of doing 'business'. Why is Valerie Brader on the Pipeline Advisory Board when she acts as Snyder's cheerleader rather than an objective participant in finding the truth? When Enbridge paid for (via an escrow account) the state-directed alternatives analysis, environmental groups and other critics cried foul on that and said the funding "corrupted" the report. Now when the state directly hires its own independent experts, that's a problem, too? I don't see what process some of these folks would accept, other than their only endgoal: an immediate shutdown of Line 5. A small price to pay for what's at stake for our beautiful state. 95% of the 23 million gallons of mostly alberta oil going daily thru the straits is delivered to sarnia, ontario for the canadian market or expert. very little benefit to michigan for the huge risk. line 5 has leaked 29 times spilling over a million gallons since installed in 1953.